Dublin has always been a bold and beautiful city. It’s a place of grace, good humour and raucous laughter – but also one of medieval history, with a precious wisdom that’s rare to find. It’s a surprisingly compact place that punches well above its weight with canals, bridges and hundreds of pubs suffusing it with a rough-edged charm. And then there’s the people. They’re a friendly bunch who burst with pride for their city and are very much a part of its fixtures and fittings, adding to the multi-cultural feel of the place, a melting pot of different nations, cuisines and languages. Dublin’s unique vibe is what makes people return time and time again – and with our ultimate guide of where to go, stay and eat, you’ll soon fall under its spell too. From the heart of the city to slightly further afield, this is the very best of Ireland’s capital. 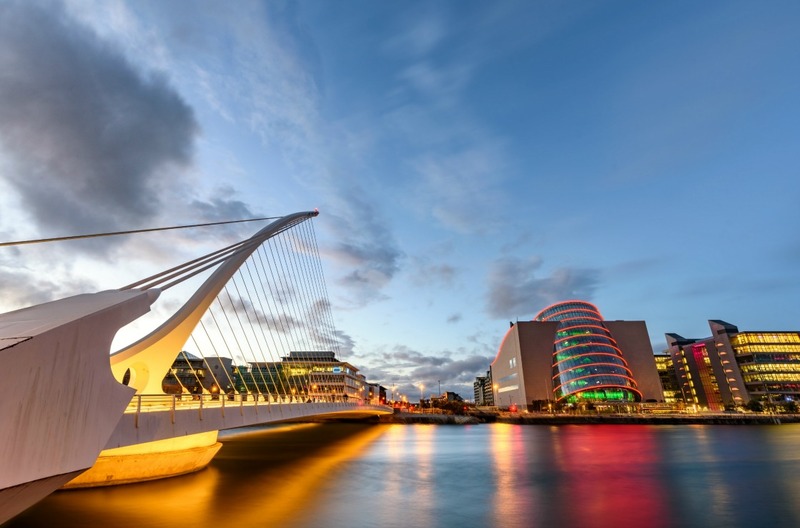 From wandering the Liffey Bridges to finding a traditional pub, it’s easy to have a good time in Dublin. It’s a city that loves its art and has inspired countless writers, but it’s also seen its fair share of political turmoil. Uncover the story of complex city at these main attractions. 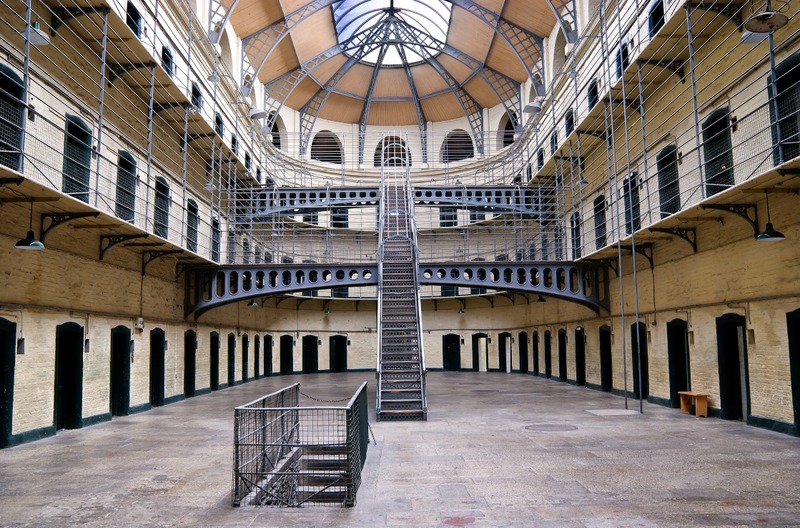 A visit to Kilmainham Gaol Museum is a powerful insight into the history of Dublin, characterised by centuries of resistance to British rule. This prison was built at the close of the 18th century by the British to confine those who rose against occupation. Perhaps most famously, the executions after the Easter Rising of 1916 – a defining event for the nation – took place inside these Victorian walls. Book ahead to get timed access to the fascinating museum, which lays bare human tragedy, both on a small and grand scale. The empty building feels cold and bare, but the prisoners’ letters and scant belongings paint a very different picture of the prison when carnage, cruelty and cramped conditions were a daily reality. 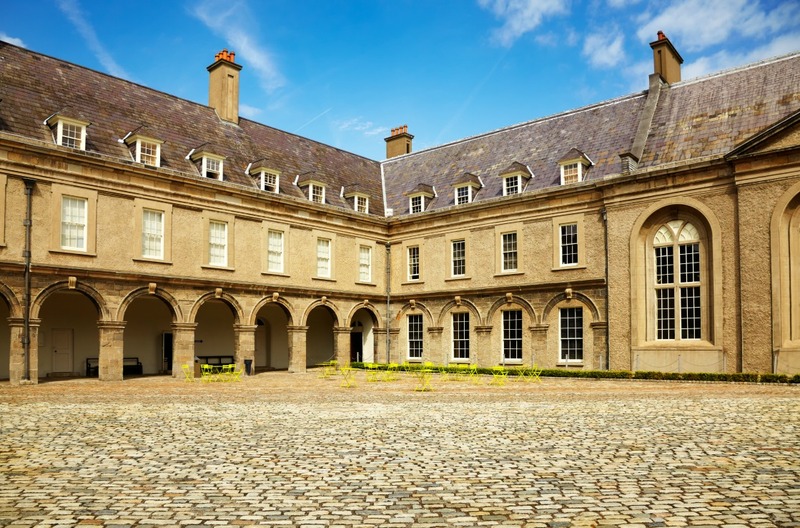 Only a stone’s throw away, the Irish Museum of Modern Art is one of the city’s most intriguing galleries, housed in the former Royal Hospital Kilmainham. The marvellous 17th-century exterior has been wonderfully preserved, and was converted into a museum in 1991. It showcases the best of modern Irish art across a variety of disciplines, with space saved for the cream of contemporary art from other nations, including pieces from Picasso, Miro, Lichtenstein and Bourgeois. Delve further into the past at the National Museum of Ireland, a treasure trove of archaeological finds. Come here for Celtic metalwork, Bronze and Iron Age artefacts and the locally made Tara Brooch, which dates from the 8th century. 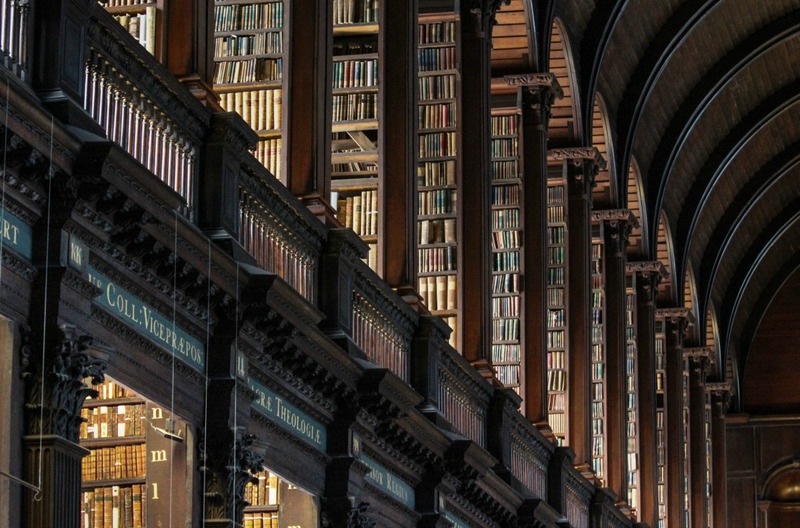 Other must-sees include the beautiful Trinity College, a venerable seat of learning since the end of the 16th century. Most of the current buildings date from later than that, providing perfect examples of Georgian architecture. Take a walking tour to learn the esteemed history. The highlight for most is the Old Library, finished in 1732. This is home to the legendary Book of Kells, which is one of the finest illuminated manuscripts in the world. You know the famous lion that roars at the beginning of all those classic MGM films? Two of the seven big cats who took on the role, including Leo who was the longest serving lion, were born in Dublin Zoo. Open since 1831, this institution is famous for its lion-breeding. There are several habitats in the 28-hectare park, although most of the big cats are found in the African Savannah section. There’s a family farm here too, making it a great place to take kids of all ages. Drive half an hour from the centre to the south-eastern tip of the city to Dun Laoghaire Harbour, home to the famous swimming spot of Forty Foot. It has international repute for being a perfect place to go for a swim in the Irish Sea and is a popular bucket list item for people around the world. Immortalised in James Joyce’s masterpiece Ulysses, this rocky headland is where people flock all year round to take a bracing dip in Dublin Bay. In winter, it’s so cold that a dip is all that most people manage. Where you stay in Dublin will largely depend on what kind of trip you’re planning. You can enjoy a quieter stay on the outskirts, dipping into the main sights when it suits you, or stay right in the thick of it for the full city experience. Whatever you fancy, there are distinct neighbourhoods to suit any kind of stay. The Docklands underwent huge regeneration during the Celtic Tiger economic boom. Surrounded by water, it’s slightly more subdued than the heart of the city and is studded with a stunning selection of places to stay. All this, just moments from the central Dublin action. The Marker Hotel is one of the grandest spots here, with a chequerboard exterior, spa, infinity pool, spacious rooms and a rooftop bar with peerless views of the surrounding area. Close by, the Spencer Hotel is more contemporary in style. Take a dip in the indoor pool and get your daily caffeine fix from the coffee machines fitted in every room. The Address at Dublin 1 is an upscale addition to the North Star Hotel. The decor here is strikingly modern but still comfortable, with dimly lit social spaces, lavish bathrooms and smart tech in every room. 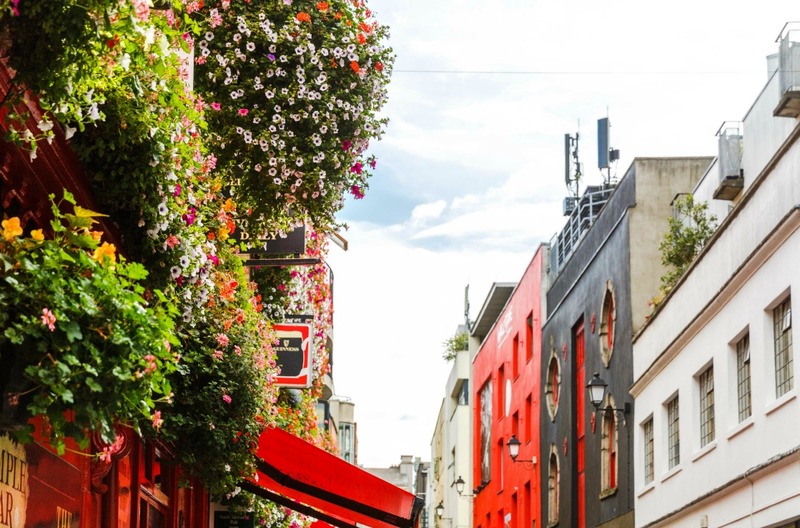 The Temple Bar area is the most famous in the city – so if you’re looking for life, you’ve found it. However, there’s more here than tourist hotspots alone, with art galleries, quirky shops and trendy places to eat springing up all the time. You can’t really get any closer than Temple Bar Hotel, a modern four-star venue close to Grafton Street. Rooms range from the petite ‘Pod Room’ – ideal if you’re going to be out and about – to the ‘Bunk Room’, which accommodates small groups and families with a double bed with a single bunk above it. The Morgan is another popular choice, especially following its recent, no-expenses-spared refurbishment. Here you’re just one minute from Temple Bar, in a decidedly funky home-from-home. In Dublin, the mix of cultures means you can taste cuisines from around the world. You can do Michelin-starred blowouts or pick up a light bite at one of the vibrant street markets. Of course, Irish fare is the star of the show. Not only is it hearty, but a new generation of talented chefs are giving it a makeover. In the elegance of Parnell’s Square, bag a reservation for Mr Fox and prepare to be wowed by the subtle combination of French panache and Irish ingredients. Anthony Smith has gone for an informal feel, so sidle past the stuffed fox and take your seat. Dishes such as beef tartare boosted with perfectly smoked eel, guinea fowl with spring peas, or perhaps a chateaubriand to share. There are fine vegetarian options too, as well as set lunch and pre-theatre menus. The Winding Stair is a much-loved local mainstay down on the Quayside. Downstairs it’s a bookstore, so ascend to the restaurant and try to grab a table with a view of the Ha’penny bridge outside. Originally a meeting place for writers and book lovers in the ‘70s, the current owner reopened it after it closed in 2005. The food is as Irish as the vibe, with local produce at the fore. Smoked hake pate, Dunmore East megrim sole paired with razor clams from Dublin bay, and braised beef cheeks so meltingly tender they fall apart under a hard stare. Finish off with fine Irish cheeses or a Guinness cake. For food on the go, and with choice galore, the brilliant Eatyard is a must. A food court that runs seven days a week on South Richmond Street – cheek by jowl with the excellent Bernard Shaw pub – this makes a strong play for the best street food in Ireland. You can go healthy with a vegan take on fish and chips or get your fingers greasy on a dirty burger. Previous vendors have included purveyors of cloud-like bao buns, bubbling raclette sandwiches and smoked goat tacos. It’s food at its most democratic, and cash only. Dublin is surrounded by natural beauty, with the famous Irish coastline and countryside both just a short way away. To make the most of your trip, organise car hire in Dublin and venture out to see some of the most famous landmarks in a country of emerald splendour. Wicklow Mountains National Park is an oasis of serenity, but also one with a serious purpose. The mission to protect the local landscape and its biodiversity goes hand-in-hand with providing a beautiful attraction for hundreds of thousands of visitors every year. The roads that thread through the park are incredibly scenic – take them slowly to appreciate their true majesty. 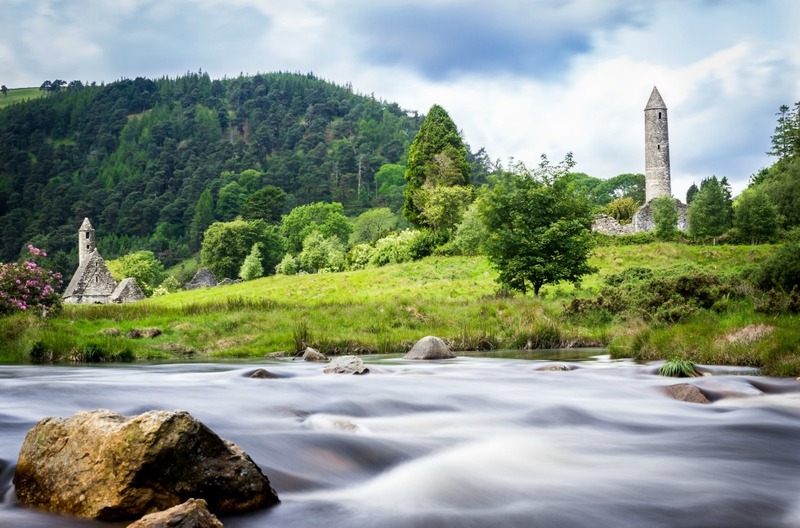 Just south of Dublin, the park’s highlight is the valley of Glendalough, with its Monastic City of early Christian ruins, lead mines, varied habitats and native animals. Keep an eye out for feral goats and majestic peregrine falcons. A trip to the Cliffs of Moher will see you cross the whole of Ireland, from the east to west. You can do it in fewer than three hours with a hire car from Dublin. On approach, you’ll be greeted by handsome, rugged cliffs near to the village of Liscannor. The five-mile stretch affords views of the Aran Islands and beyond, while sea birds swoop and the salty sea air whirls around you. Back on the east coast, one of the best routes you can follow from Dublin is the Boyne Valley Drive. Less than an hour north of the city, passing through Louth and Meath counties, you’ll travel through famous attractions, past UNESCO World Heritage sites and the romantic ruins of castles. Look out in particular for the 13th-century Trim Castle, the Megalithic remains at Newgrange – built around 3,000BC – and stop for a break in charming towns like Navan, Kells and Drogheda. It’s a sublime taste of rural Ireland before you head back into the bustling heart of Dublin. From natural beauty to inner city sights, experience the wonder of the Emerald Isle with car hire in Dublin.